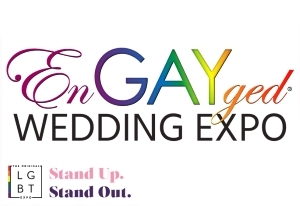 Brittany + Jenna - 2015 EnGAYged Wedding EXPO Giveaway Finalists! 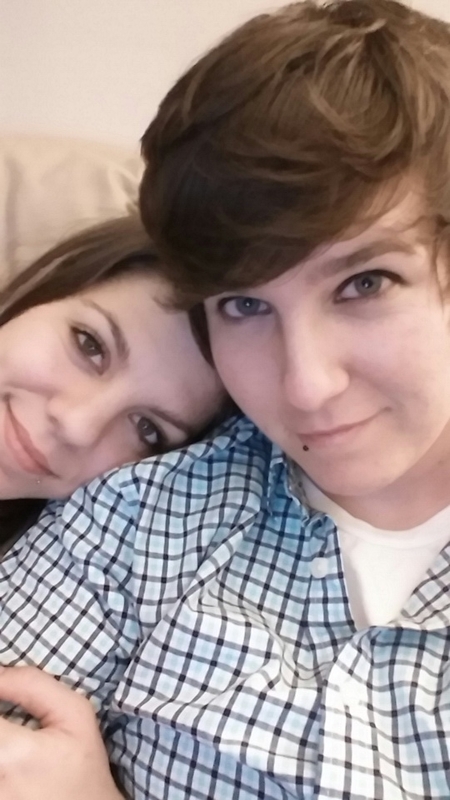 My name is Brittany and my girlfriend's name is Jenna (in the photo attached I have the short hair). We have been together for 3 years. And it'll be 4 this year. We heard of each other thru people in our lives and met thru her ex boyfriend. Her ex and I worked at a grocery store and I always heard him talking with other guys at the store about how she was upset with him and seemed unhappy, etc. One day the two of them came in and bought something thru my checkout lane. He pointed to her and said, "look what she did. I hate it." i looked up at her, noticing she was even more beautiful in person and how my heart started to slam in my chest. I was so nervous. I noticed she had gotten her lip pierced. And i noticed she didn't give a damn what he said or thought. She loved her lip ring and loved that he was mad. I was intrigued by her rebelliousness. And caught up in her smile, complete with a lip ring to match mine. Months went by and i finally said something to her thru Facebook. Asked about her car as she had gotten in a fender bender recently. Then a little while later my mother died. And one day she messaged me saying she was sorry for my loss. We started talking. I found out she and her boyfriend had split. Lucky me. I knew i had to make her mine. We kept messaging and texting. And one day i told her we needed to meet and hangout. I told her I'd meet her at our schools study library. I was so scared and excited. And also nervous she would bail. To my surprise and relief she was sitting there waiting for me. Later on she told me she was so nervous to meet me and almost left. Well, I'm so happy you stayed and waited for me. Long story short things have been a crazy, fun adventure with this woman i call mine. And i fully plan to marry her. I'm so excited and happy with her. So ready for our lives together and a new chapter in our lives to start. We are from st Louis, Missouri!